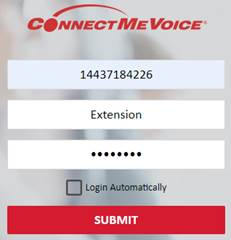 TSL’s in-office internal customers use a phone service provider called ConnectMeVoice. We use softphones, a software that is like a phone installed directly on your computer. This allows you to make calls, receive calls, receive voicemails, amongst other capabilities. In order to use the softphone you need a computer, the “VS Connect” application installed, and a headset. Choose the correct download version and initiate download. Run the executable and follow the instructions to install the software. 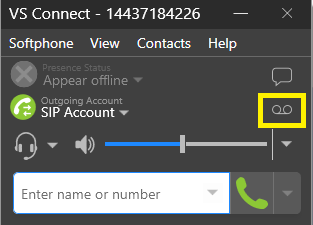 Launch the application like any other app or program by double-clicking on the VS Connect icon, which is a blue speech bubble with a phone symbol within it. When prompted to log in, use the following format. Be sure to keep the “1” in front of the numbers. Replace “15557778888” for both username and password with your own TSL phone number. Login using your phone number and password. The Temporary Password is 1027. Press # to continue. Your code has been reset. Please feel free to call support at 1-866-763-8826 at extension 2 if you encounter any issues.